Translational medicine is central to the goal of converting basic discoveries to diagnostic and therapeutic tools that can be harnessed to treat diseases and improve human health. In this event organised together with Eureka Institute of Translational Medicine, we focus on translational opportunities in diabetes. In Singapore, there are over 400,000 people living with diabetes. Patients can develop complications, including cardiovascular disease, kidney disease, eye problems and foot ulcers. Diabetes cost Singapore more than S$1 billion in 2010 and is expected to soar beyond S$2.5 billion by 2050. Join us in our panel discussion with clinicians and startups as we explore the problems and innovations in managing diabetes. Continuing Medical Education (CME) points will be awarded to all Singapore Medical Council (SMC) doctors who have attended this session. 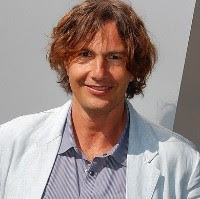 Professor Albani is an internationally renowned rheumatologist and immunologist. His fundamental research interest is in understanding human immunity and contributing the knowledge to therapeutic and diagnostic advancements. He developed several innovative approaches in the area of induction and maintenance of immune tolerance in humans, being responsible for the whole translational process from idea to conclusion of Phase II clinical trial in autoimmune inflammatory diseases, which have a large impact on society and individuals. This translational research itinerary has been the original backbone of his career, as witnessed by a rich publication trail (among others Nature Medicine, Lancet, JCI, PNAS, Nature Rheumatology, A&R, ARD, etc) and by approximately 100 patents, disclosures and applications. Professor Thomas Coffman is the Dean of the Duke-NUS Graduate Medical School in Singapore. 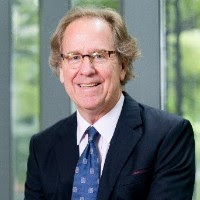 He is also the James R. Clapp Professor of Medicine, at Duke University School of Medicine. A national leader in the field of nephrology, Dr. Coffman is Past-President of the American Society of Nephrology, and served as Treasurer of the International Society of Nephrology. He is a member of the American Society for Clinical Investigation and the Association of American Physicians, and served on the Nephrology Subspecialty Board of the American Board of Internal Medicine. In 2014, Dr. Coffman received the Excellence Award in Hypertension Research from the Hypertension Council of the American Heart Association. Dr. Coffman’s research interests include renal mechanisms of hypertension, pathogenesis of diabetic nephropathy, and modeling human diseases in mice. Dr. Bee Yong Mong studied medicine at the National University of Singapore. He trained in endocrinology at the Singapore General Hospital and specialised in diabetes. He did a Fellowship on islets biology at Joslin Diabetes Centre in Boston. 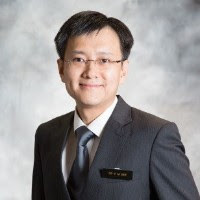 He is currently a Senior Consultant in the Department of Endocrinology, Singapore General Hospital (SGH) and an Adjunct Assistant Professor at the Duke-NUS Medical School. He is also the Head of SingHealth Duke-NUS Diabetes Centre, and oversees the transformation and integration of diabetes care, education and research within SingHealth institutions. 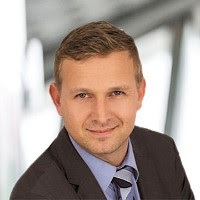 Dr. Bernd Willems works with AYOXXA as Scientist and Business Development Manager. The NUS spin-off has developed a novel platform technology for multiplexed protein quantification from minute sample volumes. Its products are supporting researchers to gain new insights in translational research fields like Ophthalmology, Immuno-Oncology and various others. Bernd got his PhD from the Department of Biological Sciences at the National University of Singapore . He then returned to Germany and started his corporate career with a large hospital consortium where he coordinated the Clinical Research arm. Subsequently, he spent three years with QIAGEN as Global Product Manager. In 2017, he joined AYOXXA to represent the company in Singapore. 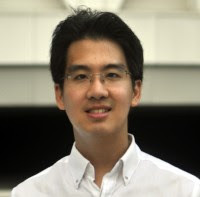 Dr Yau Teng Yan is Chief Medical Officer at Holmusk, a healthcare company that leverages technology and data science to deliver effective, engaging and scalable digital programmes for people living with chronic diseases like diabetes. His current work also includes a grant from the Ministry of Health on a technology-driven intervention programme for dementia prevention, and with the Health Promotion Board on a digital health coaching intervention for overweight & obese children. Prior to Holmusk, Teng Yan was a practicing doctor for 7 years in several public hospitals in Singapore including Tan Tock Seng Hospital and Singapore General Hospital. He trained in diagnostic radiology and is a fellow of the Royal College of Radiologists (London). He has also worked at the Military Medicine Institute where he was involved in health policy decisions and health screening initiatives in the Singapore Armed Forces. He is a big believer that technology and artificial intelligence will transform the delivery of healthcare, to achieve better outcomes, reduced costs and improved patient experience. The EUREKA Institute for Translational Medicine was established in 2008 by leaders in the field and incorporated as a not-for-profit organization. The birth of Eureka arises from the realization that the itinerary from molecular to clinical medicine requires a seamless trajectory to insure that talent, ideas, and potential cures are captured. Eureka Singapore aims to develop a community of Translational Medicine professionals, in Asia-Pacific, to advance the application of biomedical innovation for the tangible benefit of patients and society as a whole.